For a carefree holiday wherever you want, rent a complete camping set at TravelTent. The tent is light, strong and easily to set up. In the set you’ll find a solid, waterproof bag with all the camp gear, tent, table and chairs. In that way, your car will be packed within seconds. Because of hygienic reasons, the camp gear does not contain linen such as sleeping bags, blankets or pillows. The TravelTent camp gear consists of sustainable and solid camp gear so you or your family won’t be unpleasantly surprised. And with the high-quality head lamp you’ll easily find your way in the dark. So, arriving late at a campsite won’t be problem at all! The welcome package makes that you do not have to hurry to a super market on your first day. You can start your holiday relaxing! All loose materials are in a solid and waterproof bag. Only the tent, table and chairs are separate from this bag. 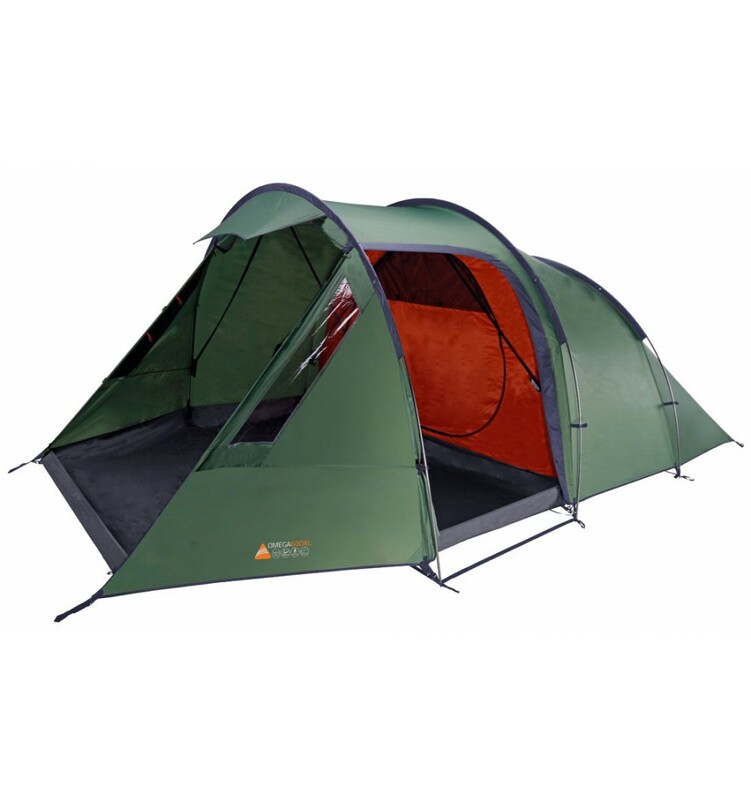 The tent is suitable for 2 to 5 persons and there will be enough space left for all your stuff and luggage. 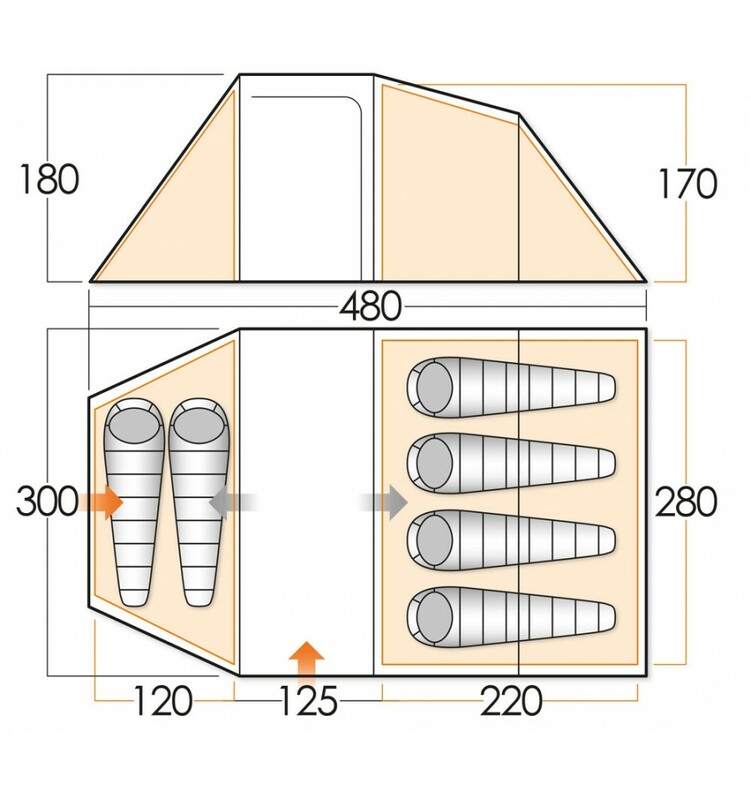 In fact, the tent can house 6 persons, but up to 5 you’ll have more space and comfort. You can leave out the 2-person cabin to create extra space. The tent is easy to set up. You receive a clear description how to set the tent up and how to use some other gear. 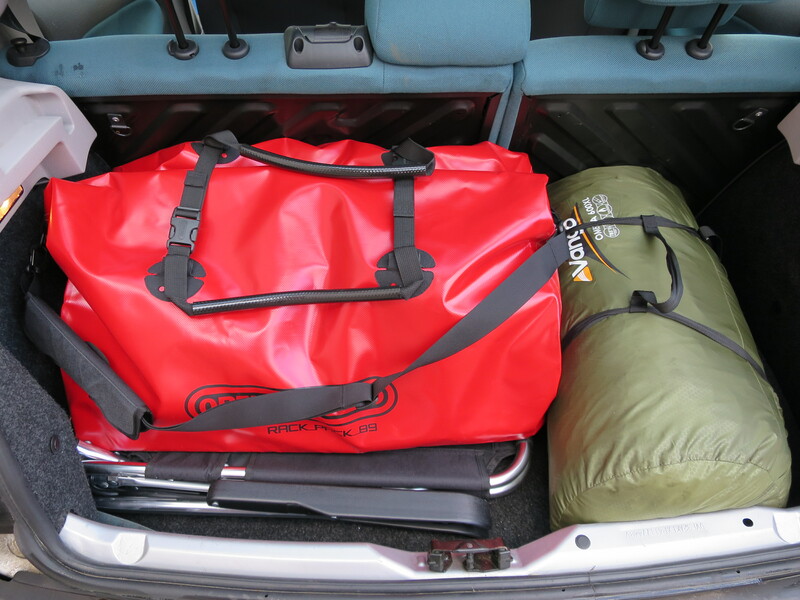 Pack your car with the TravelTent camp gear and get your holiday started!